Dianna has been involved in the healing arts since 1997 and especially enjoys the synergy of the tools she has available to help others in their journey to balancing Mind, Body and Spirit. The beauty of Crystal healing is in the many facets or forms of working with the Crystals to tailor a session which is unique to each client serving their individual needs at that moment. 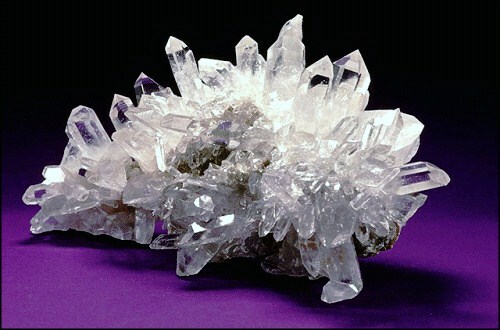 Crystals are natural transmitters. They are used in computers, phones, watches and many other items to store, amplify & transmit energy. During a session the Aura of the Crystal blends with the Aura of the client as well as my Aura to produce a safe, relaxed, meditative state where the channels to Divine Guidance are open & balanced during the healing. Afterward, I explore the session with the client, talking about anything they received and would like to share or if they went into a deeper healing state which usually results in the client “falling asleep” as they put it. Upon request, I share messages I received which some people call a body reading. Therapeutic Essential Oils such as Young Living also have their own frequency or vibration which blends with each individual person’s frequency to balance their energy and promote healing. My first encounter with the Young Living Essential Oils occurred when I developed a migraine headache. I had just purchased a Young Living kit that contained M-Grain essential oil. I decided to give it a try so I placed a drop of oil in my palm and rubbed with my fingertip three times to activate and then took a deep inhalation. Within seconds my headache was gone. In fact, it happened so quickly that I did not believe it. I went outside and looked up into the sun to see if my headache was really gone and it was! It has been full speed ahead with the oils every since that day. I have enjoyed creating my “Life Kit” over the years of oils I use in my daily living. I love coaching others on what I have learned about the Young Living Essential Oils and intuitively make suggestions about oils that will benefit them. Raindrop Therapy is a technique where specific oils are dropped along the spine from above, and combined with the techniques of Vita Flex and certain massage strokes. This provides balance and harmony to the body – physically, mentally, and emotionally. “…Each is on his own path. It is not for us to understand another more than we understand ourselves”. Day 8, Soul Journey to Love: 100 Days to Inner Peace by Irene A. Cohen, M.D. 100 daily delectable bites of insight, Soul Journey to Love provides a valuable expansion to the Course In Miraclescircle of wisdom. It is filled with Course complimentary prose which goes right to the core of self and the journey. Offering something for every style it is divided into 3 sections. The first provides practices and exercises to quiet the mind and go within, the second offers perspective on the universal mind and it’s relation to us, and the third section consists of prayers and poems. As the author states it is not meant to be read all at once for it does follow the Course technique of building upon itself with some repetition. A gentle way to work with the mind by providing a familiar place to return while pacing the move forward into exploring the territory of new thought. Practical, inspiring; a joy to read and reflect upon. Soul Journey to Love is a welcome addition to the Course In Miracles family, and sure to become a timeless favorite in any library. More About the book, Soul Journey to Love: 100 Days to Inner Peace.